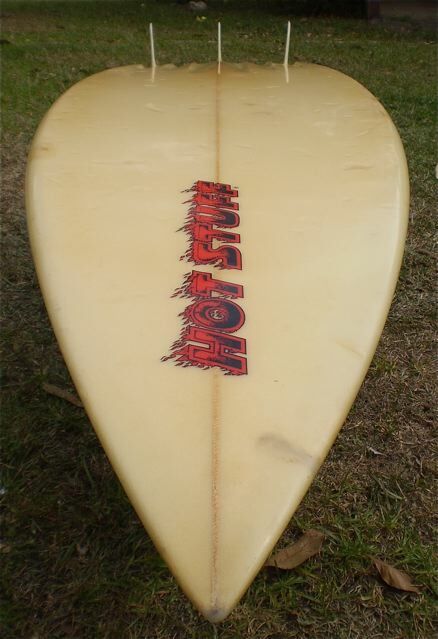 : Board Collector: Hot Stuff - Al Bryne semi gun. Hot Stuff - Al Bryne semi gun. 7'0" Hot Stuff channel bottom semi gun shaped by Al Bryne in 1985. 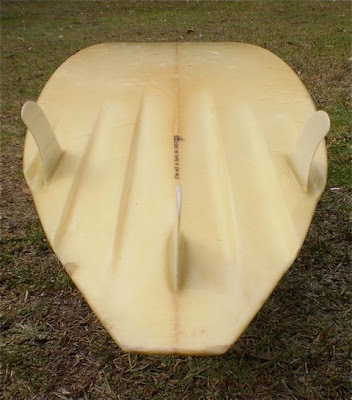 The aim of the design was to use smaller fins to reduce drag and have the long deep channels compensate. 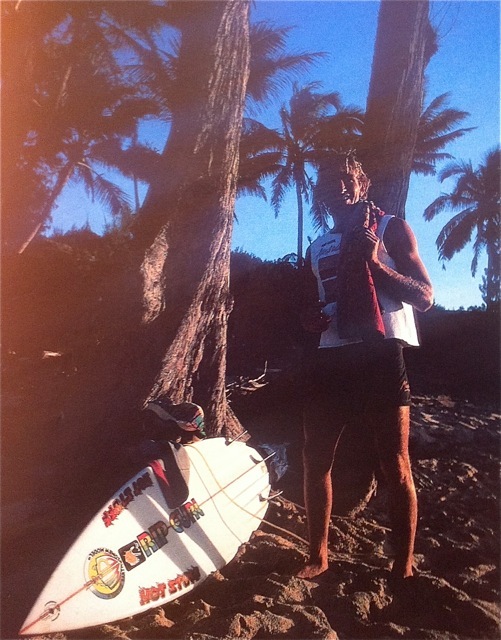 Rabbit in Hawaii with Shaun Thompson in 1984. Rabbit is riding a similar Al Bryne Hot Stuff to this one. Note the narrow square tail on both boards. 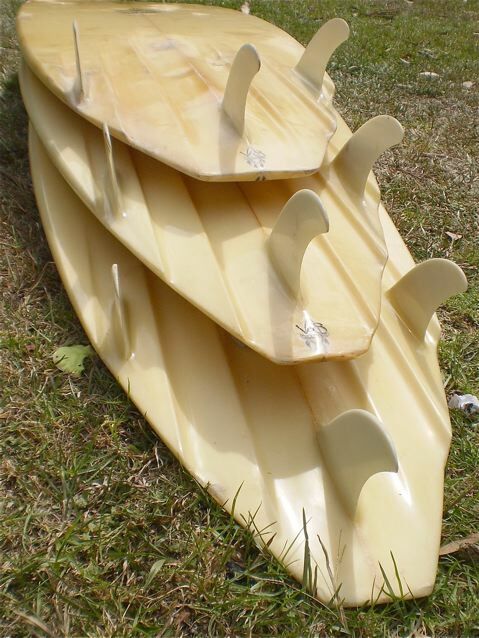 Incredibly the channels on this board, the bottom of the pile, are not as deep or as fully extended thru the tail as the other AB's in the collection from the same period. Lord Ted Deerhurst- Part 3. Wish list. Part 3. Houston we have a problem. Byrning Spears- Al Bryne semi gun. 'Kong' Hot Stuff. Part 2. 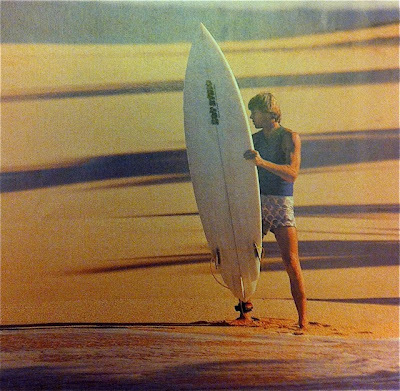 Bob Hurley Hot Stuff Twin fin. Part 3.